Sitting on a plastic chair inside a small brick house in Cox’s Bazar, the light from the evening sun shining on his tired face, 70 year-old Mahmud* recalls the day when a five-metre tidal wave engulfed his home and land on Kutubdia island, killing his wife and two sons. The ‘1991 cyclone’ was one of the deadliest tropical cyclones to ever hit the country. Producing a storm surge that inundated the coastline, it killed more than 20,000 people on the island and wiped out all of its livestock. That day, Mahmud and the friends and neighbours who survived it were left grieving and homeless. “My land is underwater,” he says. “There is no home for me to return to”. Kutubdia, located across the river north-west of the bustling town of Cox’s Bazar, is one of Bangladesh’s most at-risk coastal islands. It regularly suffers the impacts of cyclones, floods and landslides. Though its embankments have helped stabilise the coastline and protect its houses and agricultural land from the rising water levels, local residents know that these concrete structures are too low and would not resist another major cyclone. The few people who stayed behind after 1991 have rebuilt flimsy houses out of bamboo and plastic sheeting and are struggling to make ends meet. This is the case for Rashida, an old woman who lost her husband and son to the cyclone, never remarried and has lived alone since. Her age prevents her from earning a decent income and she depends on her community’s solidarity for survival. She lives in constant fear that another mega-disaster will hit and knows that neither she nor her house will survive such a shock if it does. “I have nothing left to live for and no other place to go. I am just waiting here to die”, she says. 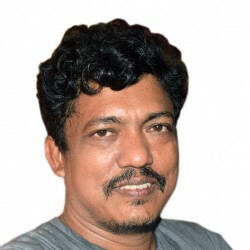 When Mahmud and others arrived in Cox’s Bazar in 1991, the local chairman rented out plots of land on which they were able to rebuild a home, a village and a community. The houses they built are more solid than the ones they lost on Kutubdia and have been elevated on two-metre earth mounds to protect them from the chronic flooding in the area. Though the residents feel comforted by the existence of a local early warning system and the possibility to access flood and cyclone shelters in case of emergencies, daily life in Cox’s Bazar remains precarious for many. When the water rises to two or three metres during high tide, parents have to wade through it carrying their small children to school. Those who can’t swim are forced to stay home until the tide recedes. Because they don’t own the land on which they live, they now also face the risk of being evicted to make way for an airport expansion project that would allow the government to reclaim the area they have settled on. “We know this will happen, we just don’t know when nor how. Once it does, we will have nowhere to go”, says Ibrahim, who arrived in the area in 1991. About 300 km south of Dhaka, the low-lying island of Bhola is at the meeting point of major rivers with the Bay of Bengal. Over the past 40 years, a piece of land the size of London has gradually broken off from the island and disappeared into the water. Four out of the seven unions of the sub-district have been wiped off the map, and an estimated ten thousand families have had to relocate further into the island. As she prepares to leave with her family, Fatima points to a distant spot out to sea with tears in her eyes. “This is where my home used to be. Ten kilometres from today’s coastline”. The riverbanks are eroding at an alarming rate and forcing people like Fatima to pack up and relocate. Local community members show us the cracks in the riverbank and tell us they expect the area next to the earth-built dam - a strip of land about three metres wide and twenty metres long - to have completely broken off by the end of the week. The school has shut down and the people are dismantling their homes to move further inland over the next few days. Residents are selling the few assets they have left, mostly wood from the trees which they will sell at half-price. The land itself has become worthless. Although some families have decided to stay on the island, many have made the difficult choice to move to Dhaka in search of better opportunities. The majority have ended up in one of the city’s sprawling slums. While their exact population is unknown, the majority of slum dwellers are thought to have migrated there as a result of some kind of environmental hardship. A recent national census shows that population growth in the country’s coastal areas is now stagnating: as the sea advances and the land becomes uninhabitable, these areas are gradually emptying out. Dhaka’s slums, on the other hand, continue to expand. The decision to move to Dhaka is often triggered by the hope of reconnecting with family and friends and finding a steady source of income. Like many other men like him, Sharif earns thirty dollars a month as a rikshaw puller: “Barely enough to feed my five children”, he says. He moved to what is known as ‘Bhola slum’ 25 years ago and joined the thousands of others from the island who settled there over the years. A young woman who arrived with her mother and small child only a month ago tries to make ends meet by selling small food items on the local markets. Like many of her neighbours, she lives in a dark and cluttered space, barely six square metres in size. The slum is dirty, over-crowded and hazardous. Every day brings about new risks, as parents and children are exposed to floods, fires, and disease. On the day we leave the country, a fire in a densely populated district of Dhaka that killed 78 people provides us with a tragic illustration of the levels of urban risk in the city. Bangladesh is one of the poorest and most populous countries in the world but is also one of the most resilient. This resilience was put to a huge test when 1.2 million Rohingya refugees poured into the country from neighbouring Myanmar in August 2017 and settled into several camps in Cox’s Bazar district. While Bangladesh’s response to the refugee crisis has been exemplary in many ways, the situation has put an additional strain on already limited resources and, some argue, distracted from the needs of its own highly vulnerable displaced population. Nevertheless, because of how frequently and severely it has experienced climatic impacts over the past decades, Bangladesh has also become one of the most climate-aware and climate-resilient countries in the world. The country has invested massively in new infrastructure, food security and innovative agriculture, comprehensive risk management, research, mitigation and capacity-building. “Bangladesh is well aware of its climate vulnerability, and has now moved firmly into the solutions space”, says Saleemul Huq, director of the International Centre for Climate Change and Development (ICCCAD). He explains that while expanding the range of livelihood options available in Bangladesh’s coastal areas is key to helping prevent populations trying to reach over-crowded urban centres, this is only likely to be a solution in the short to medium-term. What is needed for the long run is a way to redirect population flows from rural areas to secondary cities and towns, and to avoid the unsustainable growth of informal slums like Dhaka’s. Organisations like ICCCAD are now working with mayors from secondary cities to lay the groundwork for longer-term, more sustainable solutions for the waves of displacement to come. And they are in it for the long haul. Building climate-resilient and migrant-friendly cities across the country will be key to welcoming and integrating those who will inevitably have to move in the coming decades. It is the only way to give a chance to the thousands, like Mahmud, who will have no other choice but to rebuild, and to accept, a different life altogether. *All names in this piece have been changed to protect identities. About The author- Alexandra Bilak is the director of IDMC.